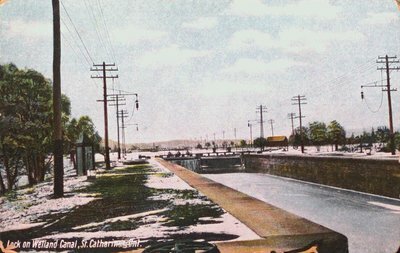 A postcard of a lock on the Welland Canal (Third), St. Catharines, Ontario. Date Unknown. Published by W.G. MacFarlane, Toronto, New York, Buffalo. Printed in Germany.